Leapt in to the murky water head first, like we're all told not to do. 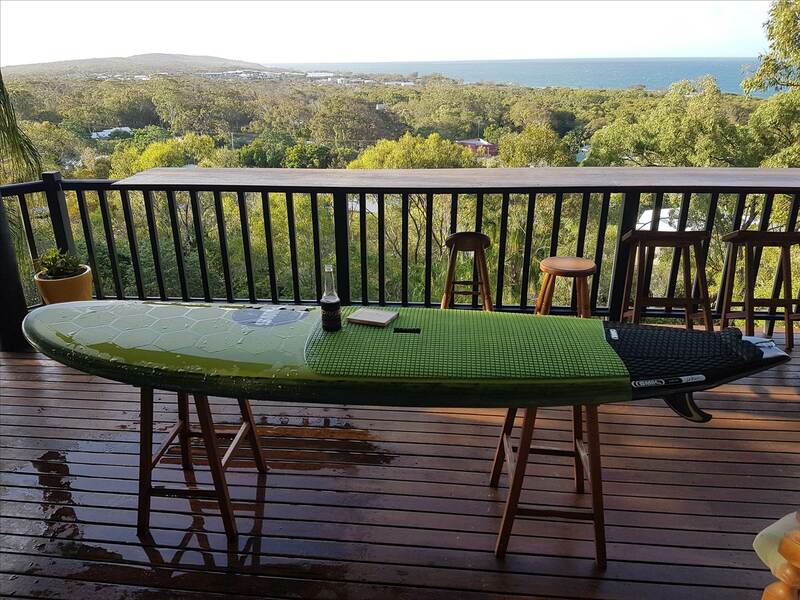 So impressed with my 10 foot hipster twin long board SUP, I've gone for a 9 footer at the narrowest width for me yet. Unboxed and got her wet in the absolute worst conditions this arvo, high tide, sloppy onshore sh1te, in between a Brisvegas trip and going back to work. Good news is she's doable, and the future looks very bright in the fark yeah fun department. Construction and finish is flawless. 9' x 28" 125 litres 7.6kg on the dodgy bathroom scales. 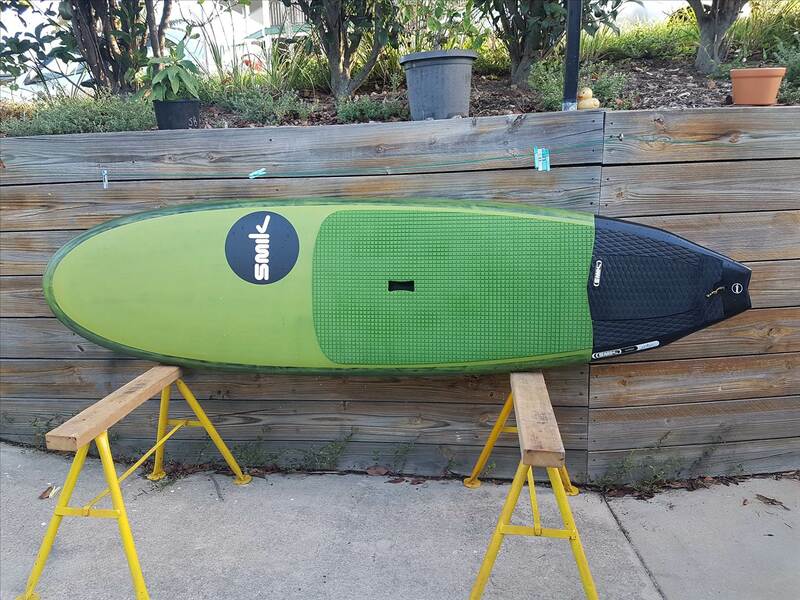 2 thumbs up Scotty, will report back on this beauty after a wave or two higher than a ripple. Happy Patty's day people, a perfect day to unwrap Princess Fiona! green machine .... ,should be perfect . Forgot to tell ya the bottom of your fence needs weeding ..
28 wide ..thats pushing it for a small lad . Haha. Lots more weeds around, surf has been pretty consistent - until the local long board comp comes around and i get a new stik! Murphy's law. I certainly didn't get any smaller over the weekend either, so 28 will test me for sure. Look forward to getting her on a decent wave. Brenno, Sweet as. Being an olde fahrte I had to get mine 30.5 wide. Jealous. Let us know how the Mini Mal goes! Daie to all of you lads and lassies! Brennoooohhh!!!! - how good is the new sled?!?! Congrats on that one man- you've definitely scored yrself a cracker there mate. 9 x 28 - dude, you'll be throwing that thing off the lip - whack. Here's a pic of the business end. With a 100 kegs leaning on that, some crazy sh1t is bound to happen! Is that your favorite position for the center fin? I noticed on your 10 footer you have it all the way forward as well. On the money ...up front loosely it is ,nice rear end mate ...good grip,but that wide nose will give you some stability . my 9.1 acid is 125 ,but 305/8 wide ,but no nose .a little wobbly at times ,but my favourite size . 125 litre .9.1 ..rip it up .brenno .i think you've got a winner there . Spot on about the nose mate. 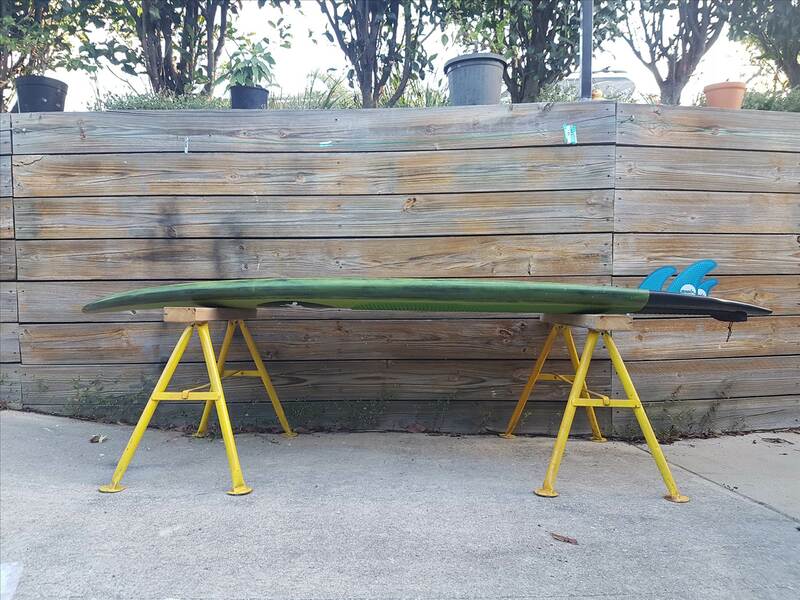 A 9 footer at 28" wide with a short board style nose would be well out of my league (weight/ability bracket) . I've had her out early the past 2 mornings, not much surf about, but some fun beachies. Turns on a dime, piece of p1ss to get to the nose, really good fun. Thought maybe it wouldn't be as easy to get on to a wave as the ten footer, but I've been proven wrong. Not quite as much glide, but easier to turn for a wave, as expected. Ya dude! I am older, lighter, but my 9'2" is - as you blokes say - sweet as! Jealous on the 28" wide! Scotty is making magic boards! Kami bro, I am old enough to take advice, and willing to give anything a go once. I've learnt a lot from fellow SUPpers here. A little bit of size here today as well as a feck load of people, so I knew I'd have to hit the beachies sooner rather than later. They were closing out fairly savagely so I knew I'd have to roller coaster 'em in and kick the board out, or take the get on quick/get off quicker approach, which requires drive (or thrust as you say). So. Yep. Moved that small centre all the way back, and there was more drive for sure. Definitely easier to launch off the back of the wave. Not enough time on the right waves to see how it affects the looseness yet, so I'll leave it in the rear of the box for a couple of sessions or more. If it kills the liveliness too much I'll inch it forward until I find a happy medium. 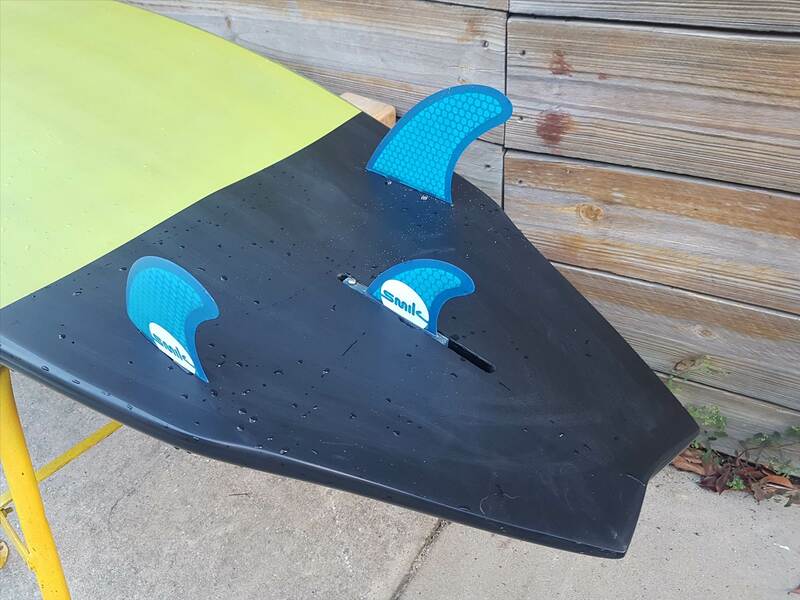 Thanks, Brenno Bro for your oncoming feedback about the knubster position and hope you many more funny sessions experimenting the Twin fin set up as Scotty did on this magic board. how are you finding the 28 width after a few sessions now/? Took me 3 or 4 sessions mate, all over it. The only time I'm off now, not by choice, is the big heaves - backwash off the beach on big high tides, or off the rocks. The usual for me with a longer narrower board. Handles chop really well, and magic on a wave. I can really tell this board has been dreamt up by someone who surfs decent waves. Even though it's fun on the scraps and up on the nose, and gets on really easily, she excels on a steep face with your back hoof right on the pad, and your front as far forward as your ball bag will allow. Superb.